The investigation HSBC -- Europe's largest bank by market value -- has focused on the transfer of funds through the U.S. financial system from Mexican drug cartels and on behalf of nations like Iran that are under international sanctions. British banking giant HSBC has agreed to pay more than $1.9 billion to U.S. authorities -- the largest penalty ever paid by a bank -- after failing to abide by anti-money laundering and sanctions laws, it said on Tuesday. The investigation of the bank -- Europe's largest by market value -- has focused on the transfer of funds through the U.S. financial system from Mexican drug cartels and on behalf of nations like Iran that are under international sanctions. Stuart Gulliver, chief executive of HSBC Group, said in the statement that the bank was a “fundamentally different organization” now. "We accept responsibility for our past mistakes. We have said we are profoundly sorry for them, and we do so again,” he said. "While we welcome the clarity that these agreements bring, ensuring the highest standards wherever we do business is an ongoing process,” Gulliver added. “We are committed to protecting the integrity of the global financial system. To this end we will continue to work closely with governments and regulators around the world." 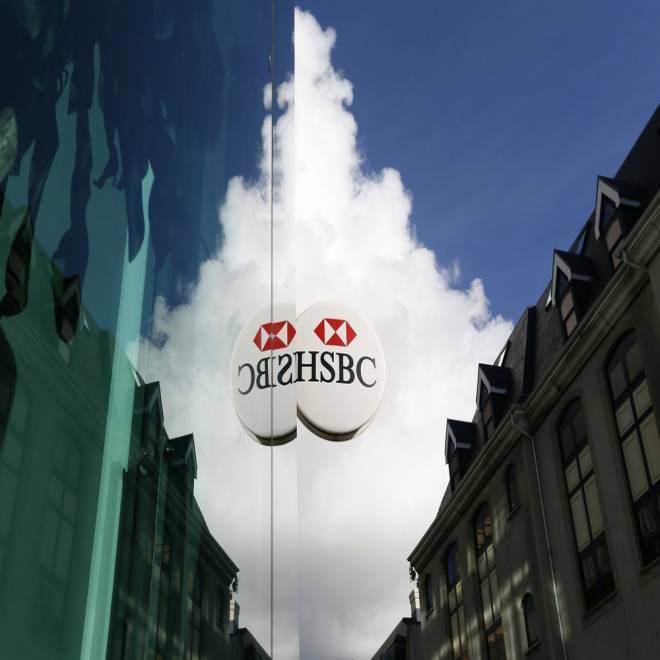 The statement, which included a string of measures taken by the bank to address the problems, also said that an independent monitor would assess HSBC’s progress over the five-year term of the agreement with the Justice Department. The agreement with the Justice Department noted that HSBC Bank USA and HSBC Group had "provided valuable assistance to law enforcement," according to the bank’s statement. U.S. and European banks have now agreed to settlements with U.S. regulators totaling some $5 billion in recent years on charges they violated U.S. sanctions and failed to police illicit transactions, Reuters reported. No bank or bank executives, however, have been indicted as prosecutors have instead utilized deferred prosecutions, the wire service said. Analyst Jim Antos, of Mizuho Securities, said the statement on Tuesday indicates an extra $420 million for the settlement costs, calling it a "trivial" figure in terms of the company's book value, Reuters reported. "But in terms of real cash terms, that's a huge fine to pay," Antos added, who rates HSBC a "buy." U.S. justice department officials are expected to detail the settlement later Tuesday, according to Reuters. HSBC's settlement comes a day after rival British bank Standard Chartered agreed to a $327 million settlement with U.S. law enforcement agencies for sanctions violations, a pact that follows a $340 million settlement the bank reached with the New York bank regulator in August. CNBC's Eamon Javers reports the detail on an investigation of HSBC's lending practices. Such settlements have become commonplace. In what had been the largest settlement until this week, ING Bank NV in June agreed to pay $619 million to settle U.S. government allegations it violated sanctions against countries including Cuba and Iran. Other banks that have reached settlements over sanctions violations are Credit Suisse Group, Lloyds Banking Group, Barclays and ABN Amro Holding NV. In the United States, J.P. Morgan Chase & Co., Wachovia Corp. and Citigroup Inc. have been cited for anti-money laundering lapses or sanctions violations. HSBC's failings date to 2003, when the Federal Reserve Bank of New York and New York state regulators ordered the bank to better monitor suspicious money flows. In 2010, a consent order from the Comptroller of the Currency (OCC) ordered HSBC to review suspicious transactions moving through the bank, Reuters reported. At the time, the OCC called HSBC's compliance program "ineffective." In 2008, the U.S. Attorney in Wheeling, West Virginia, began investigating HSBC and how a local pain doctor allegedly used the bank to launder Medicare fraud. Ultimately, that prosecutor's office came to believe the case was "the tip of the iceberg" in terms of the suspicious transactions conducted through HSBC, according to documents reviewed by Reuters and reported earlier this year.